Post-op positions vary; therefore the aluminum support can be positioned in a variety of ways including: 0° to full internal rotation, up to 70° external rotation and up to 45° abduction. 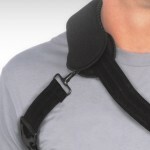 Our signature aluminum waistband is moldable to each patient’s unique torso shape and prevents anterior migration that is common with shoulder braces. 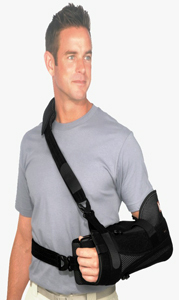 The ARC 2.0 universal sling design folds to fit every patient with one brace – right or left, football player or gymnast. The ARC 2.0 features 2.0 material for maximum breathability and comfort. 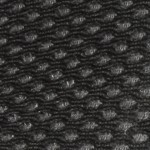 2.0 material captures moisture and moves it away from the skin to another layer of fabric for quick evaporation, drying the skin 4x faster than typical breathable materials. 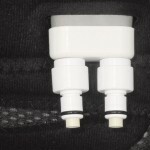 For more information on the Bledsoe Arc 2.0 click here.